Orlando Inland Realty, LLC. is a full-service real estate brokerage specializing in Property Management and Residential Sales. The Team at Orlando Inland Realty, LLC. Here at Orlando Inland Realty, LLC. we are all Realtors® and have the knowledge and experience necessary to help you obtain your real estate goals. Kathryn Stieger, Broker/Owner-Hi, my name is Kathryn Stieger. I am the Broker/Owner of Orlando Inland Realty, LLC. I was formerly with ReMax Gold Partners and have been in Property Management for 13 years. After working with ReMax and earning the Executive Club award for 4 years, I decided to take over the Property Management division of ReMax Gold Partners. I began my career as a Leasing Consultant in multi family management and quickly moved up to Property Manager, giving me an expansive knowledge of all aspects of the field. I received my Real Estate License in 2003 and have been doing residential sales and property management since. I currently live in Apopka and grew up in Longwood and Lake Mary. I am very familiar with the surroundings in North Central Florida. At Orlando Inland Realty, we work as a team so you get three professionals for the price of one. 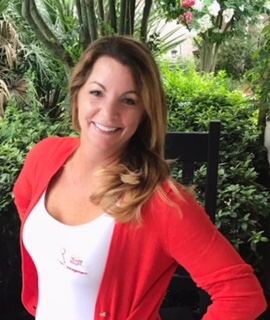 Diana Meyer Page, Realtor/Property Manager, a native to Florida, Diana grew up in and around Apopka. With her degree in Public Relations from UF, she went to work in the Marketing Department at Orlando's PBS Station, WMFE. She later began her Emmy-award winning career at Orlando's own blimp company, The Lightship Group. There she spent 8 years managing clients such as Budweiser, GM's Saturn, Bell and FOX. After spending some time as a stay-at-home Mom to her three lovely kids, Diana decided to put her marketing and people skills into Real Estate. She loves Apopka and wanted to put her efforts into a small, boutique brokerage, where she can really care for each customer fully. 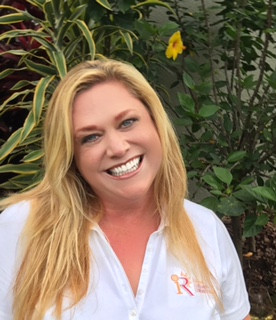 Diana is a great fit at Orlando Inland Realty and we have full faith that you will enjoy working with her as she helps you find that perfect home or manage your investment property. Donny Stieger Marketing Director, Donny comes from the field of property surveying. He has enjoyed working outdoors for many years as a Crew Chief completing residential and commercial property surveys. He is familiar with the ever changing real estate market and attends many real estate seminars to expand his knowledge. Donny holds his Real Estate License and is certainly a commodity to Orlando Inland Realty. Bruce Summers, Month End Accountant, Bruce provides the monthly reconciliation of Orlando Inland Realty, LLC. escrow account as required by the Florida Administrative Code. He continues to use his skills and knowledge to ensure we are in compliance with all laws and regulations.